It is great to see members of juniors increasing as grooms and drivers at endurance events throughout the year .They take a great interest and are very competitive in such events.Thank you to the senior members who provide horses and ponies and their time for the juniors.Many junior drivers are competing in show and combined driving activities.Don’t forget the junior drivers challenge to be held at Rossmore on 27th August conducted by the Hills ad Camden clubs.Many of our junior drivers are also competing in mini trotting. Could clubs please contact me in regards to holiday training days for the juniors for their area.I am open to suggestions from interested clubs.I would like to also receive news items from other clubs about junior driving activities . 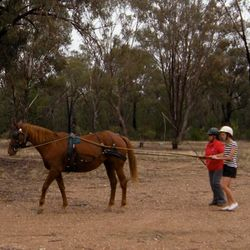 A Junior driver aged 6-10 years inclusive must be accompanied in the vehicle by an ACDS adult member (an experienced driving person) seated alongside at all times and holding a second pair of reins attached to the bit. 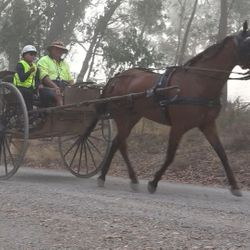 Stallions Junior drivers who are 16-17 years of age may be allowed to drive stallions at ACDS show events at the discretion of the organisers. 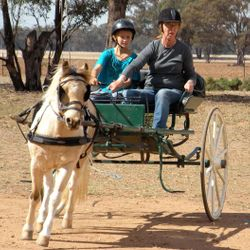 Multiples Junior Multiple drivers – a Junior driver aged 16-17 years inclusive may drive a pair or tandem of ponies, but not horses or a larger combination. 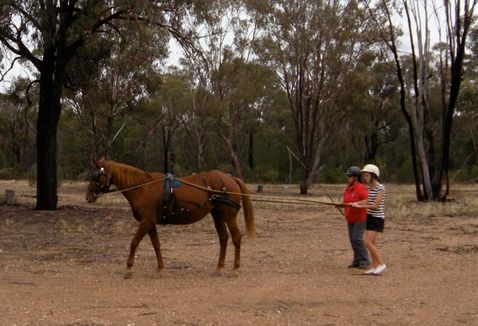 All junior persons (being under 18 years of age) driving or riding in a carriage must wear protective head gear, designed for equestrian use, whilst at an ACDS activity - effective 6th November, 2010.